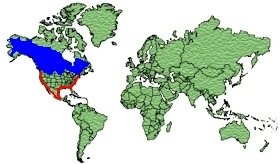 Macenzie delta, Alaskan interior, Hudson Bay, South Oregon, Utah, Colorado and Iowa. The male has a Black effervescent head with a small tuft, Pale Blue bill with a Black tip, Yellow eyes, a Black breast, White/Grey back and wings with darker vermiculations. The underparts and flanks are White with subtle vermiculation. The legs and feet are Grey/Green. The female has mainly Dark Brown plumage with a White band around the base of the bill, Orange eyes and White underparts. 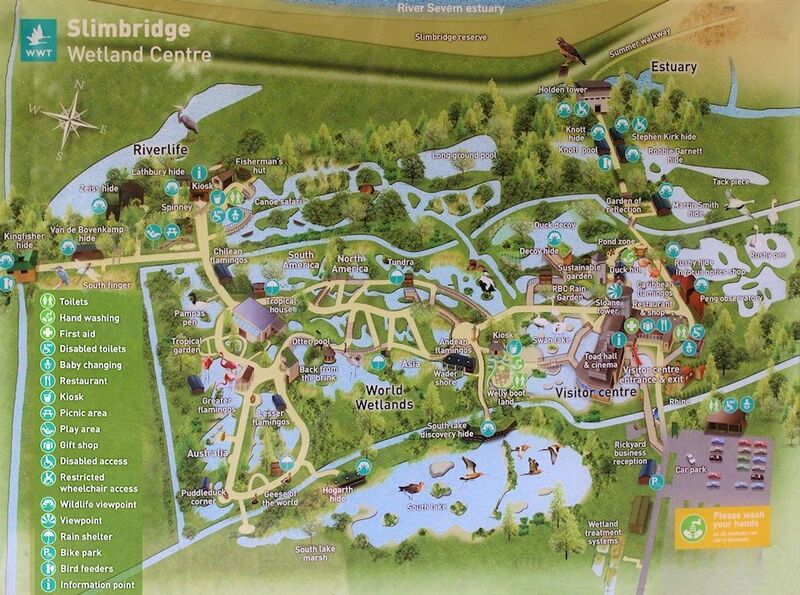 Lakes, Rivers, Ponds, Lagoons and Bays. Aquatic Seeds and Insects, Clams, Oysters, and Mussels. 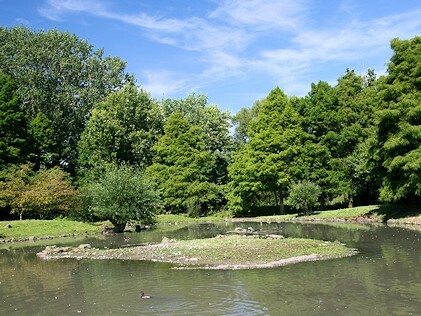 The nest is built in a shallow on the ground lined with feathers and down, concealed in dense vegetation near water. 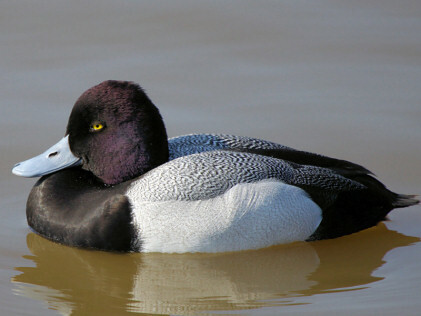 The Lesser Scaup, also known as the Little Bluebill or Broadbill, is a diving duck from North America. 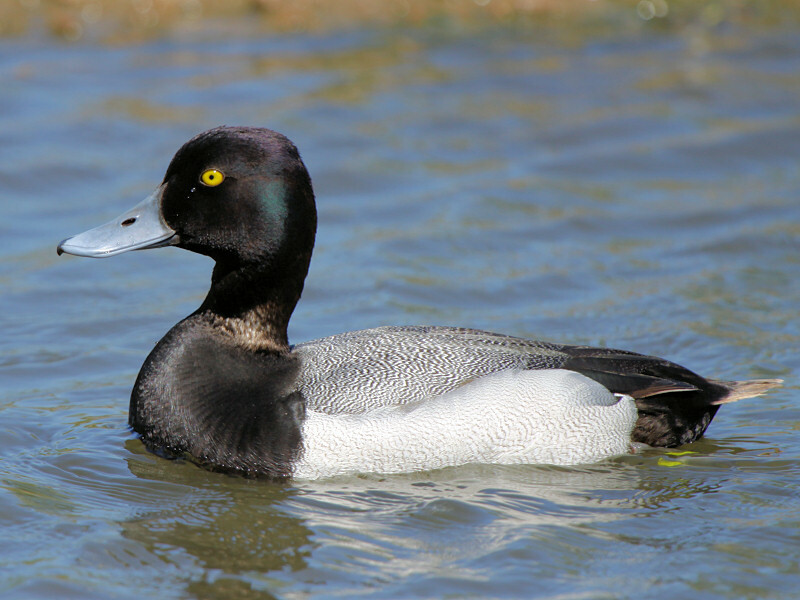 The Lesser Scaup is very similar in appearance to the Greater Scaup except smaller and not as bulky. 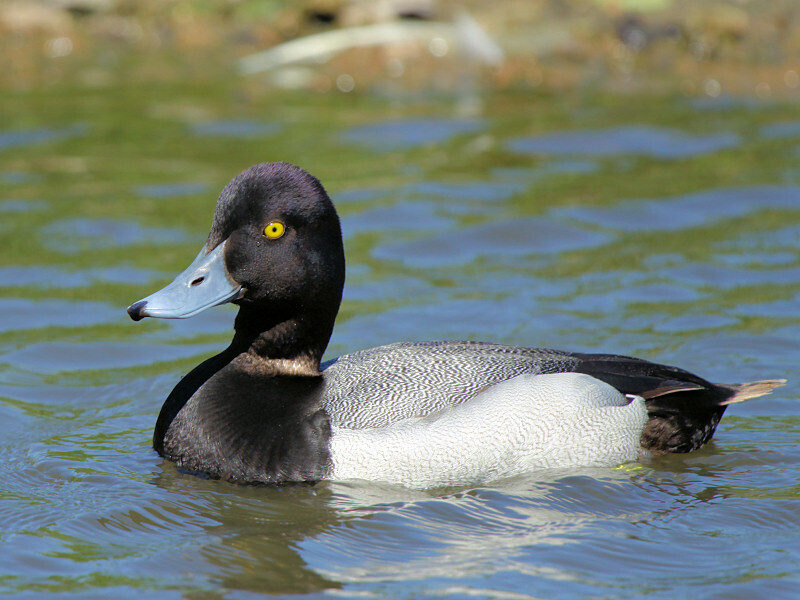 Although the Lesser Scaup has the largest population of diving duck in North America, their population has been declining over the decades. They are currently classed as Least Concern but this may be revised to Near Threatened if the decline continues.